 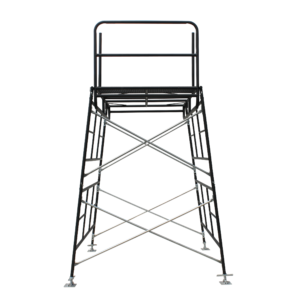 A-1 Tower | | Rhino Building Products, Inc. 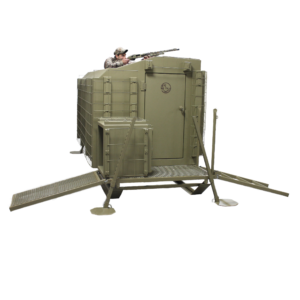 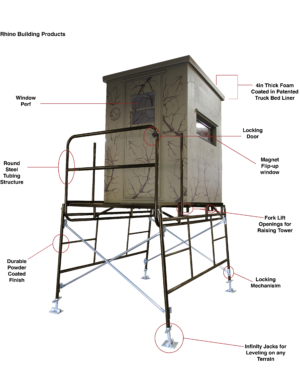 The Rhino Building Products A-1 Tower is the perfect accessory for your hunting blind. 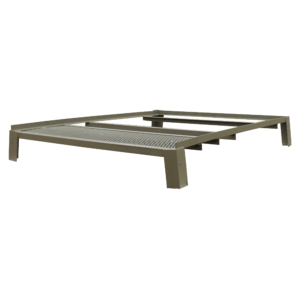 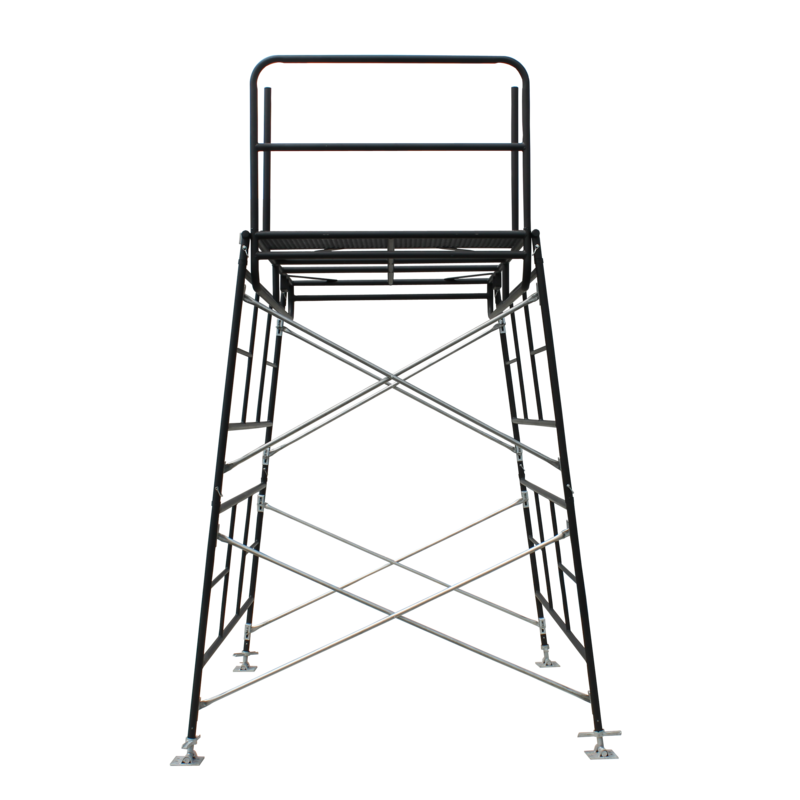 Rigid powder-coated steel construction makes the A-1 Tower capable of withstanding the harshest elements. 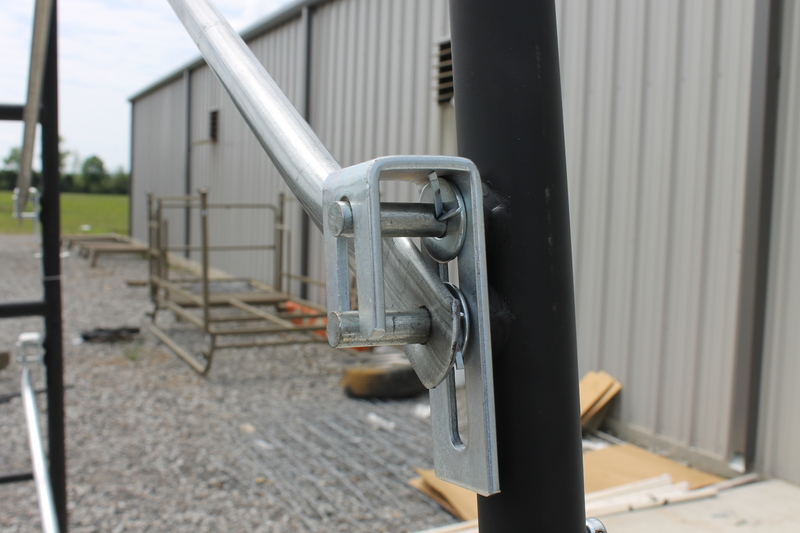 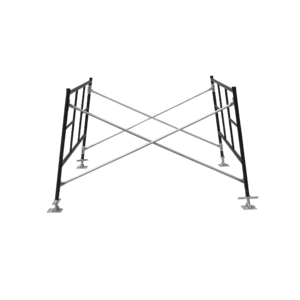 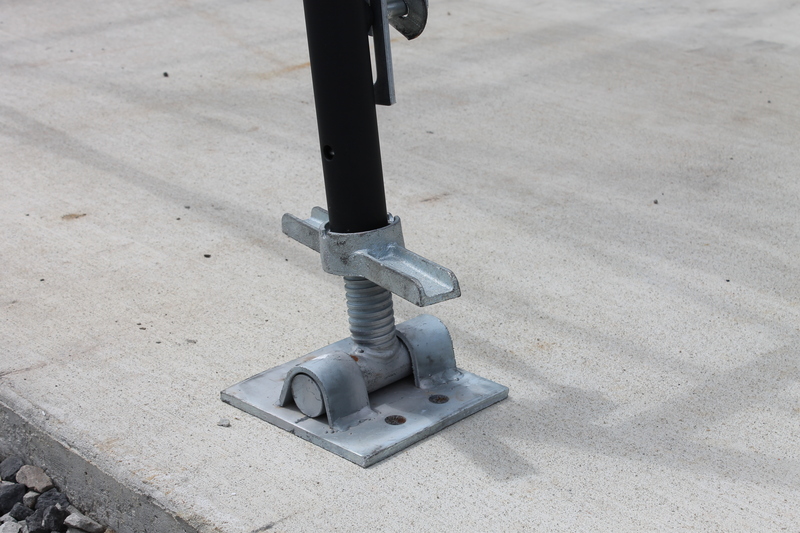 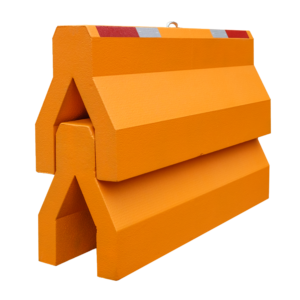 To maximize your range and increase your hunting field, our towers have 4’ leg increments. 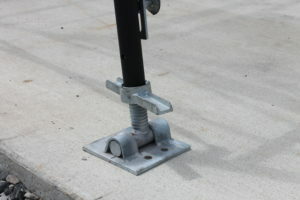 Set up is a cinch-the only tool you need is a hammer for placing the ground anchor. 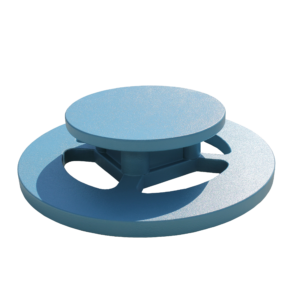 The adjustable 18” infinity jacks and built-in level allow you to quickly level your tower on less than perfect terrain. 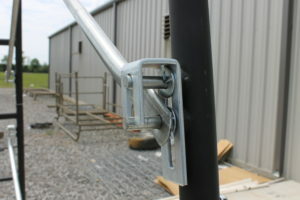 Locking braces provide superior stability. 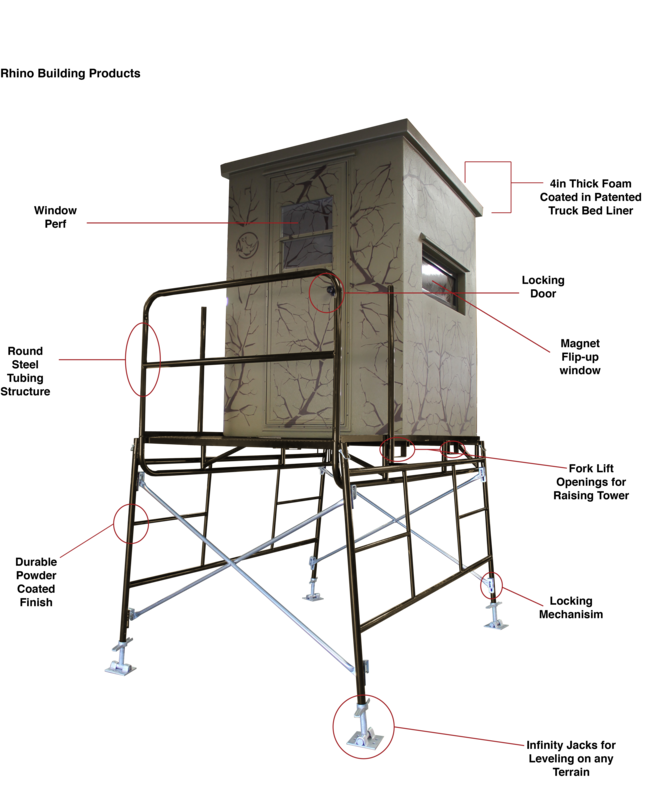 Once set-up, the A-1 Tower has a generous porch and access to the blind from either side. 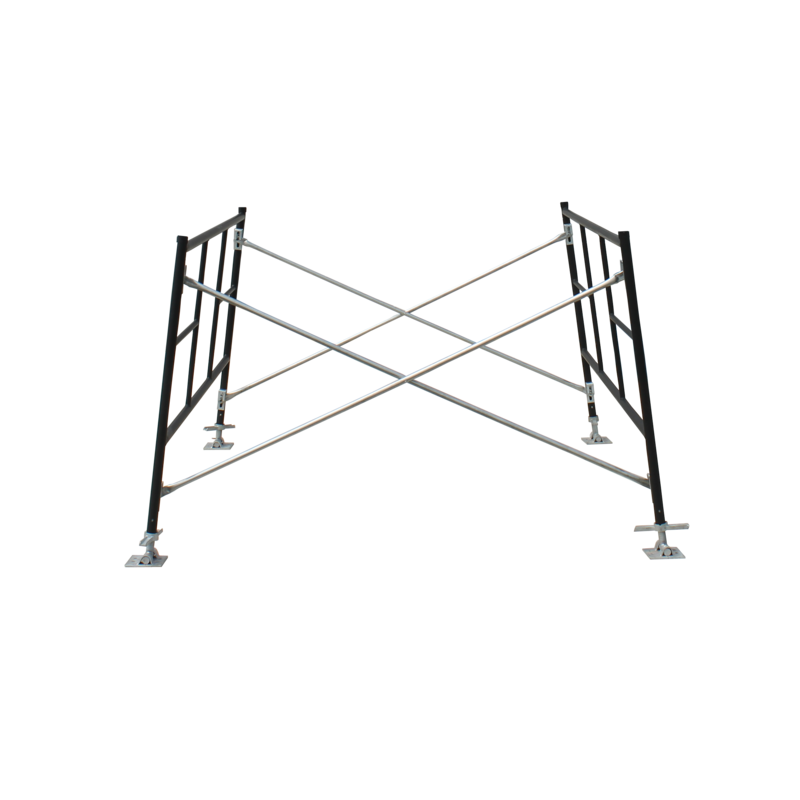 From a built-in sled for dragging across the field to all universal components, we’ve thought of it all!